As always, Fair Go Casino offers players a number of bonuses, and other special offers. This month there is the Game of the Month promotion on the Secret Symbol slot, and new slot promotions. Throughout March, play Secret Symbol, the Game of the Month at Fair Go Casino, and earn double comp points. This means you get two comp points for every $10 of real money you wager on the slot game. For other games, you get one comp point for every $10 wagered. When you accumulate enough comp points, redeem them for cash. Get $1 for every 100 comp points you collect. In addition to this, there is a 100% match deposit bonus for playing the Game of the Month. Redeem this offer with the 3GOTM-19 coupon code. When redeeming the match bonus offer, you also get 25 free spins for play on the Secret Symbol slot game. Celebrate the new Kung Fu themed slot game, Fire Dragon, at Fair Go Casino this month. Enjoy a 150% match deposit bonus offer and 35 free spins on the new slot game. Redeem both the large match deposit bonus and the free spins with the FIRE-BONUS coupon code in the Cashier tab. Play Fair Go Casino games both at home and on the go. Bonus To Go is available every single day of March and the rest of the year! Take advantage of a 50% match deposit bonus up to $200 every single day! Simply enter the 50TOHO coupon code, make your deposit, and get playing. Neosurf is a prepaid card available in a number of locations. Simply get a loaded Neosurf card, and use the card’s code when depositing at Fair Go Casino. When you deposit at least $10 with this banking method, you get a 200% match deposit bonus up to a possible $1,000. Redeem this payment method special offer with the the 200-NEO coupon code. Casinos love welcoming their new players with special offers. 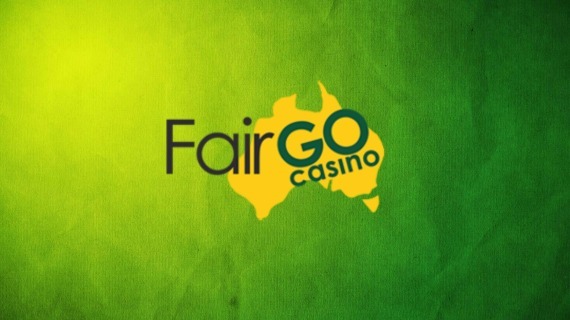 Fair Go Casino offers a welcome pack with up to $1,000 in bonuses. Get five equal 100% match deposit bonuses with up to $200 available for each deposit. Redeem these welcome bonus offers five times with the WELCOME coupon code.